Members of the powerful family were directly involved in directing efforts to encourage more profligate prescribing of their flagship opioid pain-killer, OxyContin, the New York Times reported. The claims of the lawsuit paint a picture of the infamously private Sacklers as far more involved in decision-making than their company has previously represented. The state of Massachusetts brought suit against eight members of the Sackler family personally, as well as Purdue Pharma and what the Times characterized as "numerous executives and investors." The state charged the Sacklers and co. with aggressively misleading patients about the risk of OxyContin, and irresponsibly promoting the drug to doctors who routinely overprescribed. The drug, approved by the Food and Drug Administration in 1995, uses Purdue's extended-release technology to introduce a slow but continuous stream of oxycodone into the patient's bloodstream. This design allows a longer period of effect, including crucially providing enough pain relief to allow sufferers to sleep through the night. But it also means that OxyContin contains a far higher mass of opioid, allowing users to crush the pill and get a much stronger dose all at once. 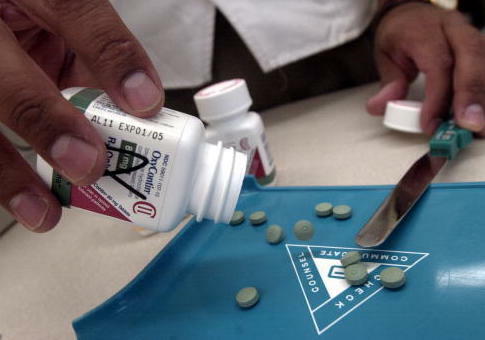 In Tuesday's court filing, the state alleged that members of the Sackler family were aware that Purdue Pharma had repeatedly failed to alert authorities to "scores" of reports that OxyContin was being abused and trafficked. But this did not stop an aggressive marketing campaign, including claims—based on almost non-existent evidence—that the drug caused dependency in less than 1 percent of patients. The family opted for a strategy of blaming people who use. Then-Purdue-president Richard Sackler, in a 2001 email, wrote that "[w]e have to hammer on abusers in every way possible… They are the culprits and the problem. They are reckless criminals," according to the filing. He also told company officials to downplay the impact of reported OxyContin deaths, as in the 2001 case of a federal prosecutor seeking answers for 59 overdose deaths in his state. At the same time, Sackler is accused of pushing sales representatives to in turn press doctors to prescribe the highest possible dosage of OxyContin, because it was the most profitable. In 2007, Purdue Pharma plead guilty to federal charges that they had misrepresented OxyContin's dangers—they paid $634.5 million in fines, and signed a "corporate integrity agreement" promising not to violate the law in the future. Richard Sackler and other members of the family resigned from the company's board at the time but, according to emails included in the filing, continued to micromanage day-to-day operations from behind the scenes. A statement from Purdue Pharma to the Times claimed that the Massachusetts filing was "littered with biases and inaccurate characterizations," rejected claims of wrongdoing by the Sackler family and other company officials, and said the firm was working to combat the abuse of prescription opioids. This entry was posted in Issues and tagged Crime, Drugs, Massachusetts, Opioids. Bookmark the permalink.